Clean Marine has been selected by Hudong-Zhonghua Shipbuilding in China to supply exhaust gas cleaning systems (EGCS) for two 38,000 dwt. Chemical Tankers being built for Stolt Tankers and NYK Stolt Tankers. 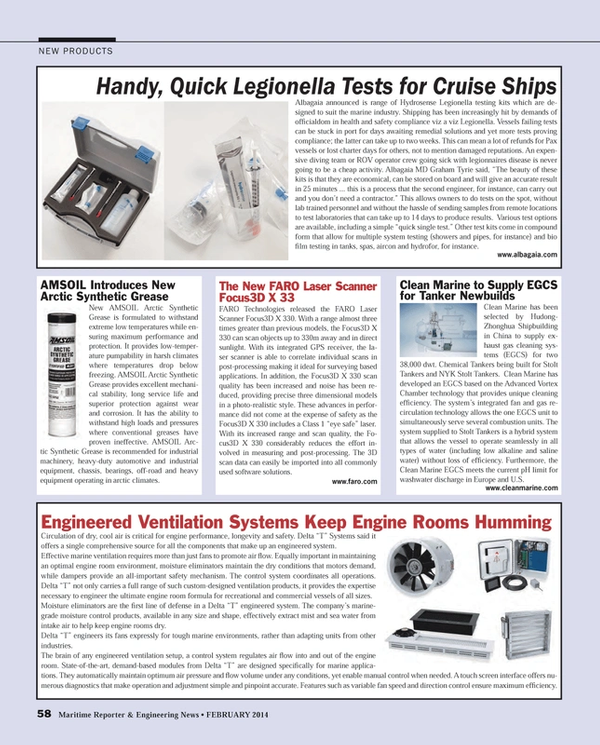 Clean Marine has developed an EGCS based on the Advanced Vortex Chamber technology that provides unique cleaning efficiency. The system’s integrated fan and gas recirculation technology allows the one EGCS unit to simultaneously serve several combustion units. The system supplied to Stolt Tankers is a hybrid system that allows the vessel to operate seamlessly in all types of water (including low alkaline and saline water) without loss of efficiency. Furthermore, the Clean Marine EGCS meets the current pH limit for washwater discharge in Europe and U.S.